Donatella celebrates the strenght of women in her Versace AW17, featuring dark and neon color, specially Cyber Yellow. This tone of yellow has nothing of tenuous: kinetic and optimistic, it is a punk-grunge visual outrage. This color adorned not only the Smiley Face logo, designed in 1963 by Harvey Ball, but also countless outfits. 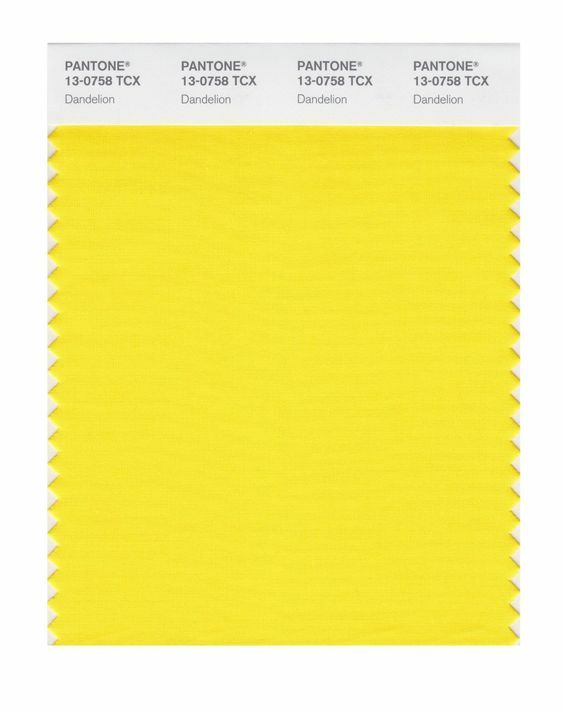 The Vibrant Yellow is a cheerful but also combative hue: the perfect pigment for United Colors of Benetton, a company founded by the brothers Luciano and Giuliana Benetton, which aims not only to promote the use of colors, but also to break down ethnic barriers of society. The advertisement by Oliviero Toscani ignored sweaters to focus on global issues far from solar. For his first show, Anna Sui revised the Sixties' Carnaby Street in a punk-grunge mood. The look that proposed for fall 1991, in total Cyber Yellow, was perfect for a Generation X whose intent was to shock.